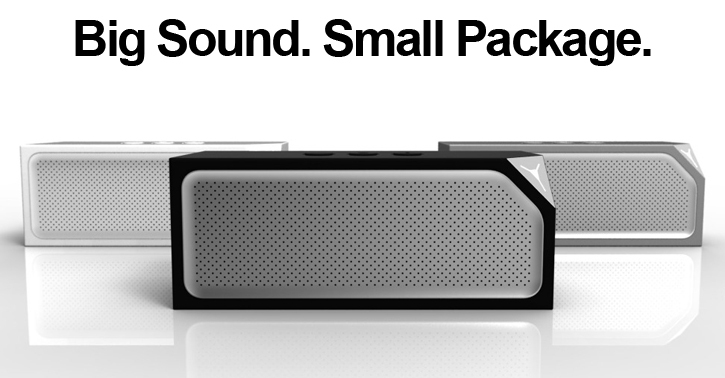 Cubedge has created a worthy competitor to Jawbone's Jambox dubbed Edge.Sound. This Bluetooth wireless speaker is portable, stylish and has the same form factor of the Jambox only with a more, cutting edge style to it. The Edge.Sound will work with any device that supports Bluetooth music streaming including Windows Phone, Android, BlackBerry and iOS devices. Cubedge's Edge.Sound speaker does strike our fancy with a sleek yet edgy rubbery housing and sand blasted aluminum speaker grille design. It also features a built-in mic for hands-free call and chat making, top music playback button controls, 10-hour battery life and a sweet aluminum enclosure package. What about the sound you ask? Cubedge isn't letting out much detail about the specifications other than promising us all big sound in a small package, capable of easily filling up the most enormous room you've got in your home. We've heard that before, and as far as we know it, that's definitely a trusted saying. The Edge.Sound speaker is available to pre-order in a black, white and gray starting at $130 over at Kickstarter.